The "Take it!" 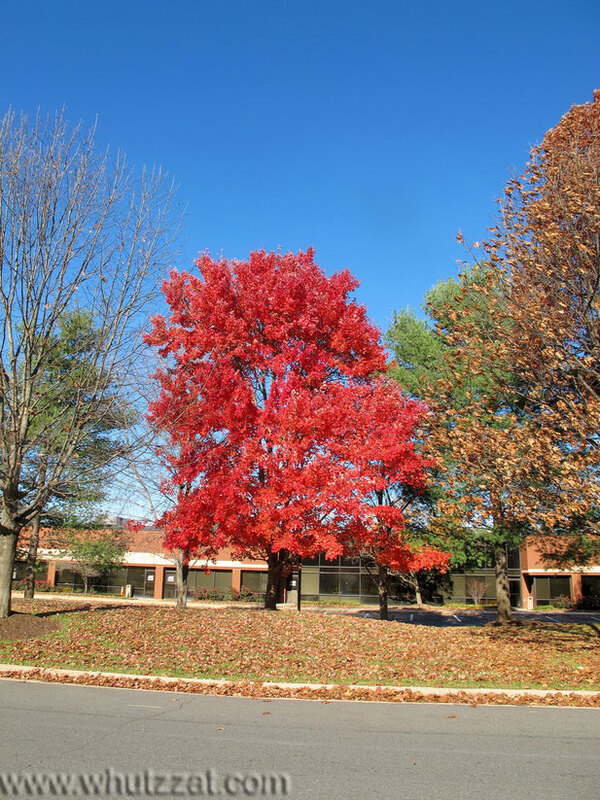 was the vibrancy of the red especially against the blue sky and the nearby other trees. Some of the other trees had lost most of their leaves which propels 'Big Red' into the special category of being one of the hold outs. I look for shape of a tree , and this one has a strong full look to it. The After Take: This tree still has many of its leaves on it further warranting its hold out designation. Dignity comes in a number of forms. For the most part it is attached to people, but for me, it is found in other ways as well. The way someone or something stands in presenting itself gives off a desire to better know it and a feeling one can rely upon it. All good stuff in the living of life. For some reason the term "Like a Boss!" comes to mind when I look at this one. Boy that thing sticks out like a sore thumb. Its fun to come back here after so long and see some of the old shots. I never really did it before. Not only is it somewhat nostalgic but it also really shows how much this website has evolved over a year.